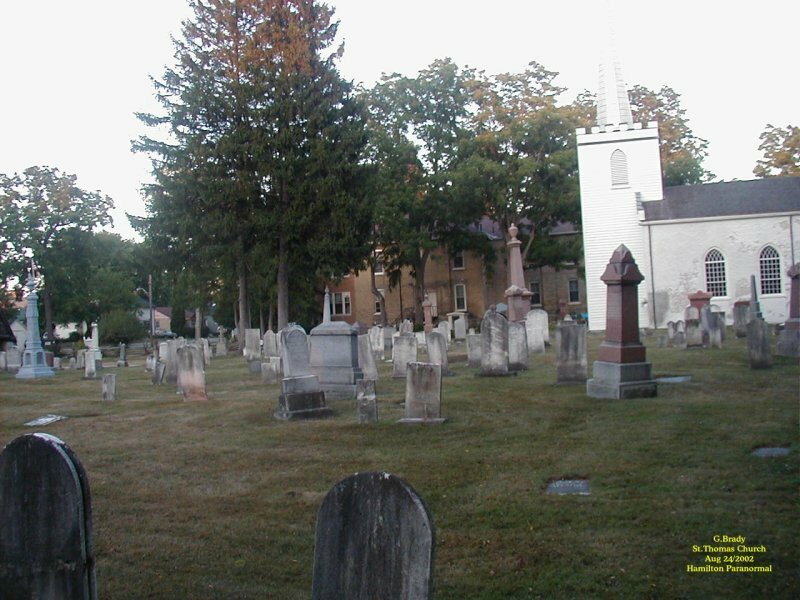 Mike showed us a very old church and cemetery where a witch is believed to be buried. This sign is our only means to show a bit of history for this place in St.Thomas, which was once known as the Talbot Settlement. 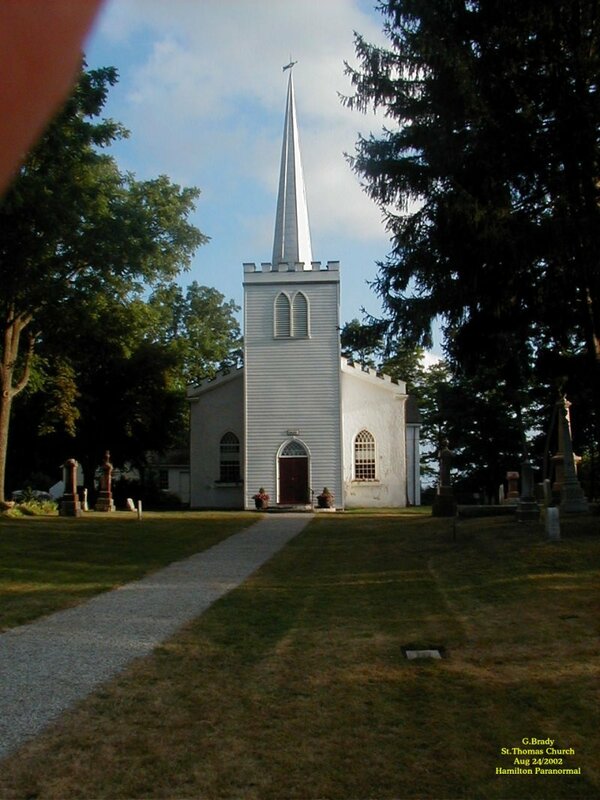 The one thing we found extremely fascinating is the fact that this church has no electricity. It is still used on some occassions and it is lit by oil lamps that have been mounted on the walls near the windows. It gives you the illusion of stepping back into time should you get the opportunity to go inside. The church was very intriguing and I just had to take some pics of this place. Please pay close attention to the details of the church. First notice that the sun is shining from the right side of the building. And this church has only one floor with no upper windows. The windows are clear and have a distinct pattern to them. 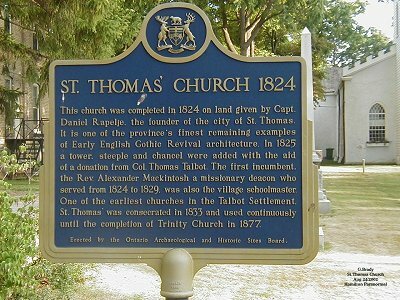 We will show you in the proceeding photos where we believe the church presented itself the way it was back in its time. Please note the windows. This shot was taken with the sun to my back as I was standing in the cemetery facing the right side of the church. The cemetery has graves dating back to the early 1800's. 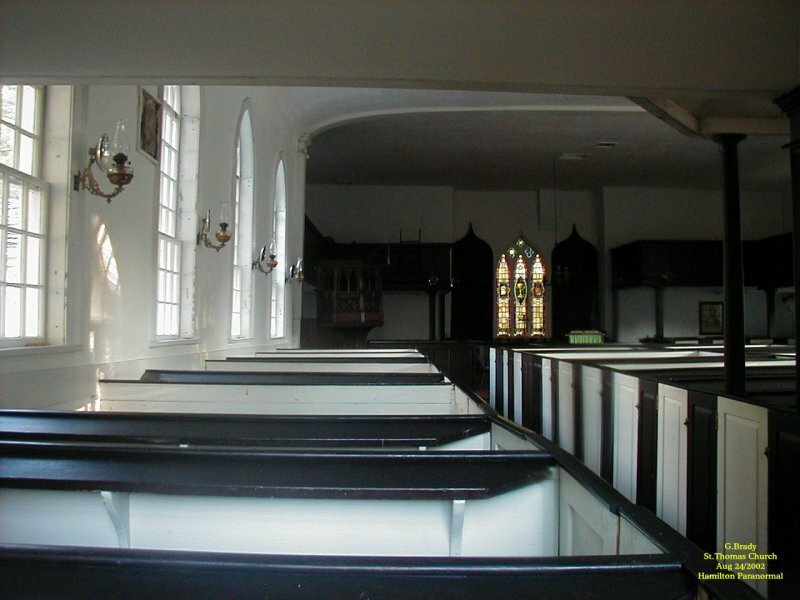 A closer shot of the church. Again please note the window designs and please note that the windows are clear glass, not tinted or stained glass. Also, there are no trees near the building. This will be important in a moment. In this photo you will notice the way the pews were back in the period of this church. This alone would bring back memories of a time gone by. This is on the west side of the church where the sun would come in. As you can see from this picture, the window glass is clear and sheds an even light throughout the building. In this photo please note the design on the wall of a reflected window. 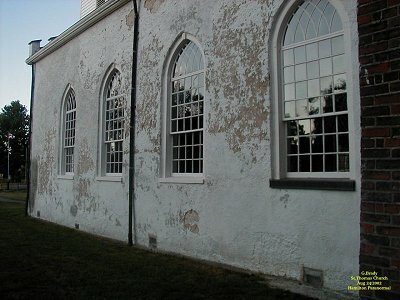 Look closley and you will see that what appears on the east wall does not match the design of the windows this church has now . Also the reflection is that of a colored pane window not a clear window. The design and pattern do not match the windows that are currently in the building. 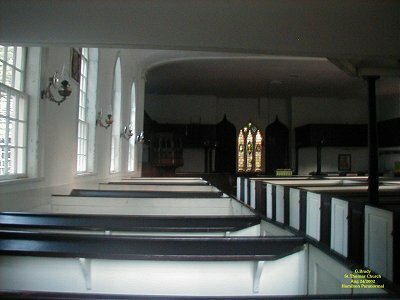 And the window reflection goes clear down beyond the edges of the pew. Remember, the sun is setting, which should have cast the reflection upward, not downward. 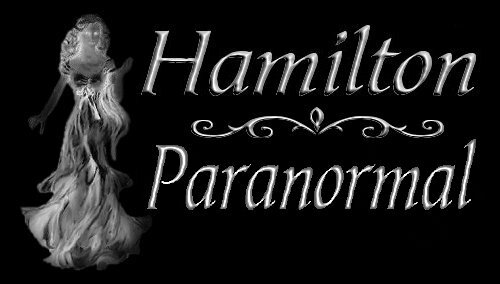 We believe the spirits are showing us the way it used to be with the windows of the past. 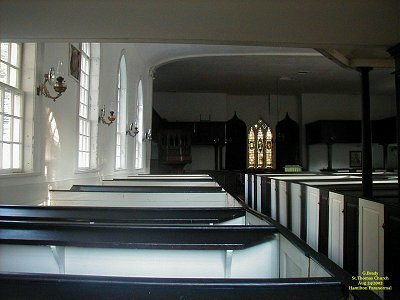 One interesting note here, look at the clarity of the doors into the pews on the right. All are crystal clear except for two near the rear. Did we catch a spirit attending church??? I took another photo less than a minute later and now you can see two reflections of colored pane windows on the east wall. In the second reflection it appears to have a tree or something else large creating a shadow across the window. But from previous pictures you can see that there is nothing large anywhere near the windows that could have caused such a shadow. 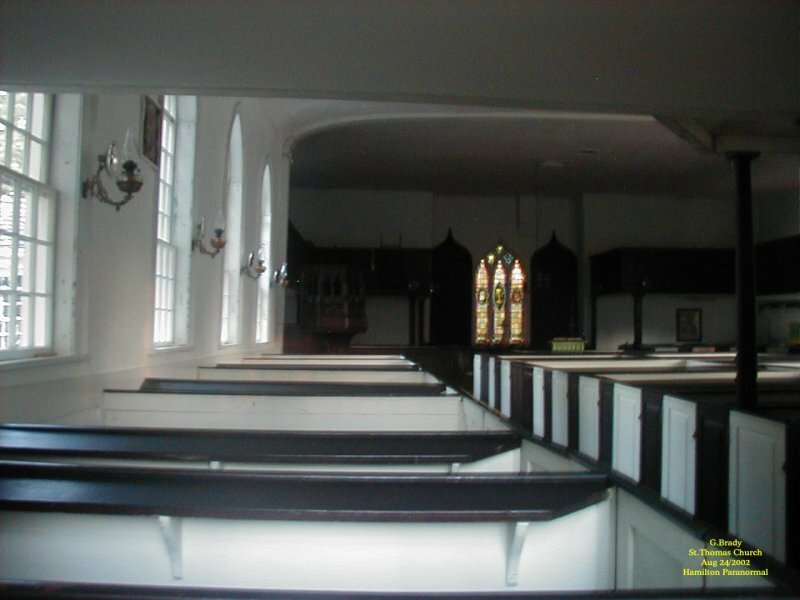 And once again the reflection reaches clear down into the pew. Another interesting point that was just noticed is the bright area to the front left of the picture. Remember, the light is entering the church from the right side. Why does that area appear to be hazey while the rest seems to be normal? Another spirit attending church while we were there?? About two minutes later this photo was taken and the reflections on the wall have disappeared completely. 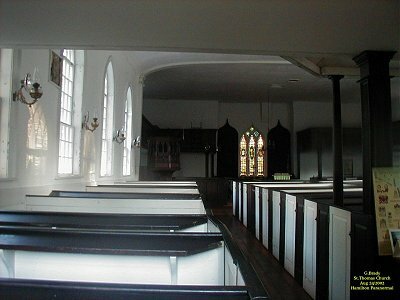 This was strange in itself, but notice the faint red mist up at the front pew by the window. Also there is are faint red lines that go up by the windows. The only colored glass window in this church was at the back and the sun was not shining through the back. Nor does the back window have the same design features as shown in the reflections. 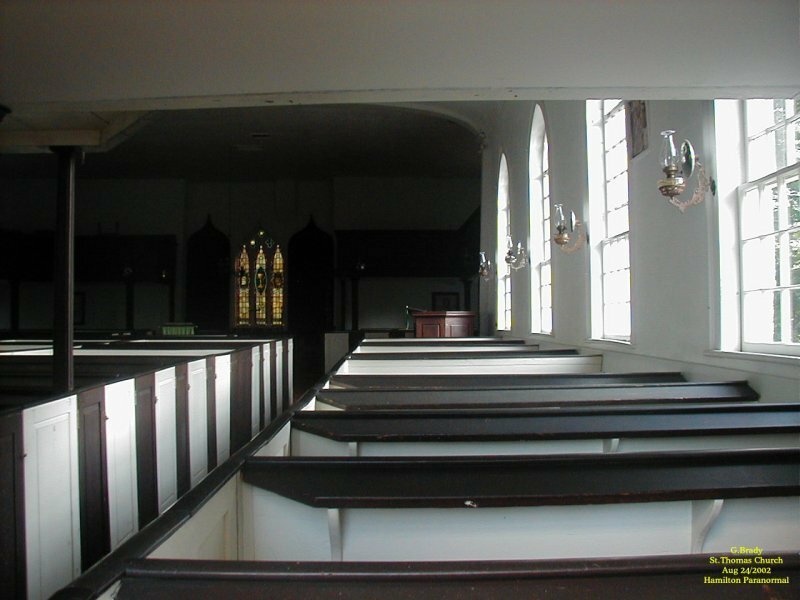 We like to call this the reflections of times gone by and the spirits in this church in St. Thomas wanted us to see what the windows were like back in its time for some reason.